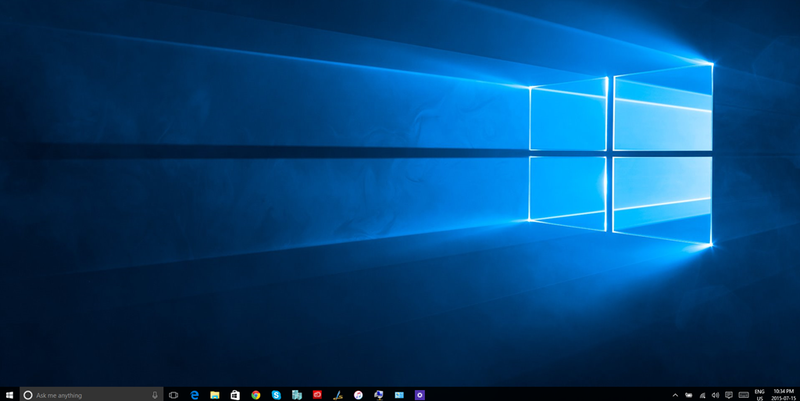 Welcome to Windows 10: Jumping off the Edge. I sat down at my computer this afternoon to a notification that my Windows 10 beta was done, and the actual Release to Manufacturing (RTM) bits were downloading. Woohoo! With that said, I like it. It took me a little time to get used to (as did Windows 8, which eventually grew on me), but now that I have been working with it for nearly a year it’s got some game, and I am glad it’s here. Of course, if you have ever spent any amount of time running beta (sorry… pre-release) code, you know there is a feeling of relief when you are finally supported again. One good thing I should mention… So far everything that was installed before the upgrade seems to be working after the upgrade. That is not to say that I didn’t have a couple of applications that didn’t work with the beta version either (Any VPN clients in da house?) but going from dogfood to final was seamless. Let’s home it stays that way! Hey Cortana! Let’s get started!